The members of Au Revoir Simone haven't got a thing to wear. Tonight, Le Poisson Rouge hosts a free listening party and happy hour for Au Revoir Simone’s new album, “Still Night, Still Light,” followed by a DJ set at 8:30 by the ladies themselves. 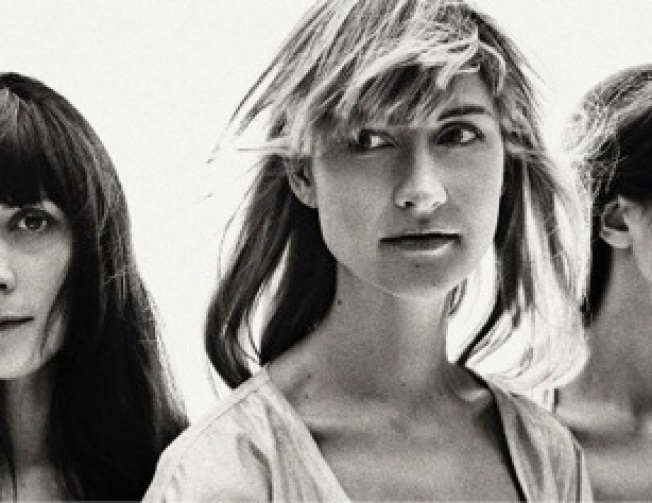 Not one single member of Au Revoir Simone, the all keyboard indie-pop trio from Brooklyn is named Simone. Nor are they French. Instead, the name comes from a scene in Tim Burton's "Pee-Wee's Big Adventure" when the character of Simone, played by Diane Salinger, boards a bus to Paris and bids Pee-Wee farewell. "Au revoir, Pee Wee." "Au revoir, Simone!" Neither are they sisters: "We look like sisters like all white girls look like sisters" they told Interview magazine during SXSW in April. And don't make the mistake of calling them a girl band just because they happen to be girls and be in a band: "The origins of our band is liking keyboards and liking each other ... Our band came together because we wanted to hang out together. I like to think of when we're 80 and say ‘Remember when we toured the world together?'" Wade through the mobs decked in vintage dresses and oversized eyeglasses when the trio performs in their native land at the Williamsburg Music Hall on May 19.